I am an independent landscape painter working in acrylic and watercolor on stretched canvas and paper. I am currently working on a series of ocean paintings, capturing the soft pinks and gentle blues that are quintessential of springtime at the beach. When I am not painting the ocean, I find inspiration from the starry night sky and the food grown in my garden. Take a look below at a variety of my styles. Thank you for stopping by. Welcome! My newest collection of ocean paintings. Feel the spray of the ocean and fall in love with the delicate blues, pinks, and greys that show off during the spring time at the beach. 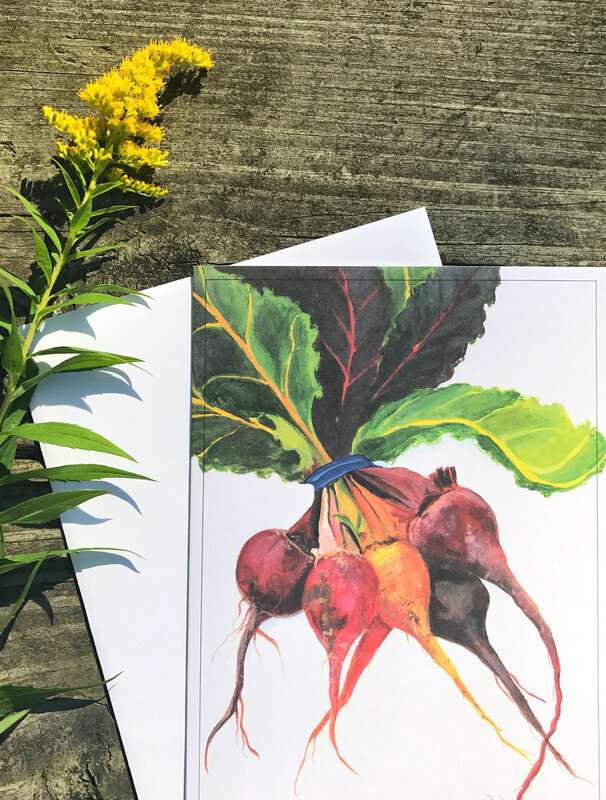 My love of painting and love for food collide in this series of greeting cards with original paintings on the front and recipes on the back. My series of stars and moons and trees and mountains. 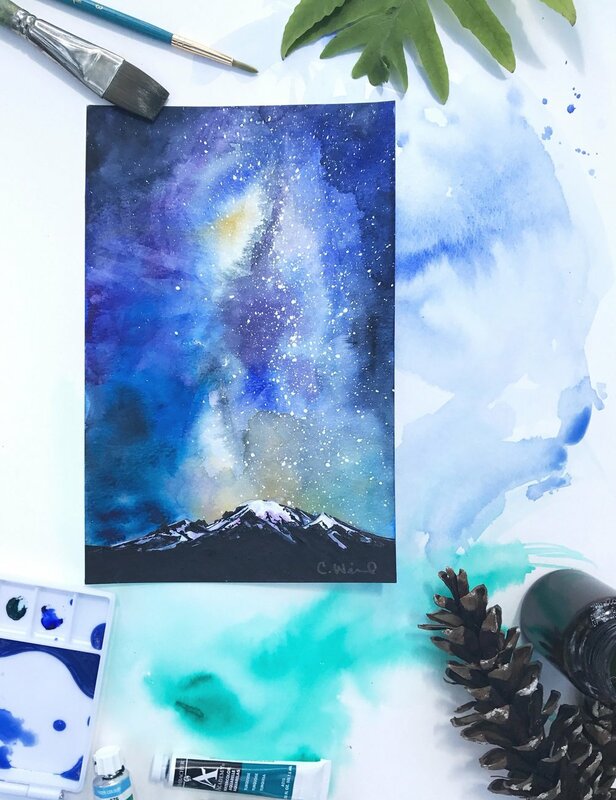 I am loving the wildness of the paint and looking up to the stars for inspiration. Sign up with your email address to receive updates on artist release dates and discounts!